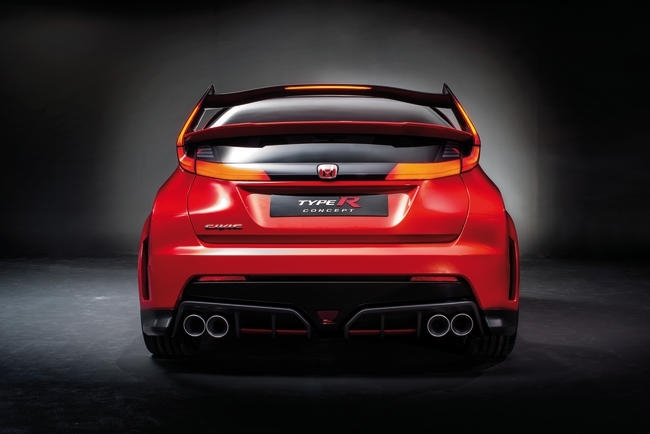 Last week, Honda unveiled the Honda Civic Type R Concept at the Geneva Motor Show in Geneva, Switzerland. 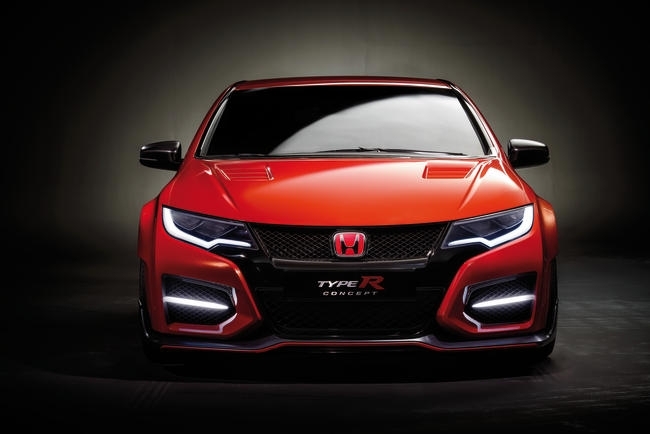 The concept previews the future exterior design styling for the Type R that will bow in Europe next year. Honda is promoting the Honda Civic Type R Concept as a “racing car for the road,” instead of a typical road car that has been enhanced for high performance—and with good reason. Performance oozes from every element of the exterior styling. For example, the rear spoiler’s shape and angle offer additional downforce while the upper and the lower front grilles have been enlarged. In addition, air outlets on the hood cool the engine and optimize airflow. On top of that, both the front and rear fenders have been noticeably widened for the 20-inch tires. We don’t have too many details on the forthcoming Type R, but Honda has confirmed that it will be the first European model to be fitted with a VTEX TURBO engine from Honda’s ever-popular Earth Dreams Technology range. Expect 280PS from the 2.0-liter four-cylinder direct injection turbo engine. The 2014 Geneva Motor Show also served as a display for the next-gen NSX’s powertrain layout. The all-new NSX will launch next year. Honda also brought the FCEV Concept to Europe, confirming that Europeans can get their hands on a production version in early 2016. Stokes Honda North is South Carolina’s first Honda dealer, serving the Charleston area for more than 40 years. Stokes Honda North proudly offers a huge selection of new Honda cars, trucks, and SUVs, as well as many quality-inspected used cars.